The Simpson’s is a famous, albeit, dysfunctional animated family in a popular American sitcom. The beloved family is a parody of working-class life and culture in America. 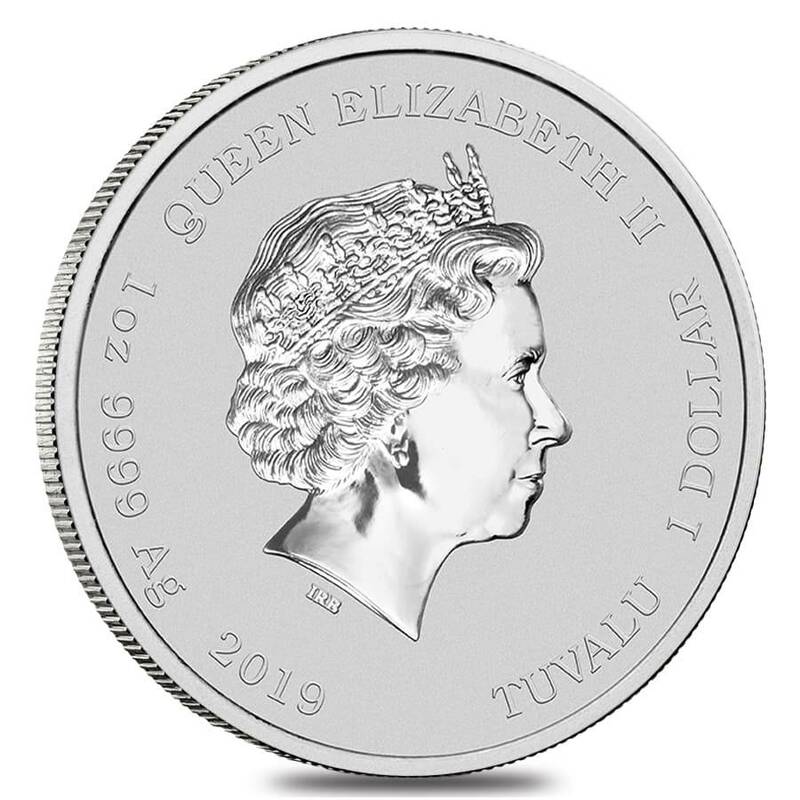 Bullion Exchange is therefore excited to present the 2019 1 oz Tuvalu Homer Simpson Silver Coin in 99.99% pure silver and housed in a protective plastic capsule. Homer, Marge, Bart, Maggie, and Lisa made their way on the scene in 1987 and soon had their 30-minute television show a couple of years later. Additionally, the show was a creation by Matt Groening. Homer was especially a favorite character - stuffing his face with donuts and exclaiming “D’OH!” whenever he could. The reverse of this fun and detailed coin celebrates Homer and his unique personality. 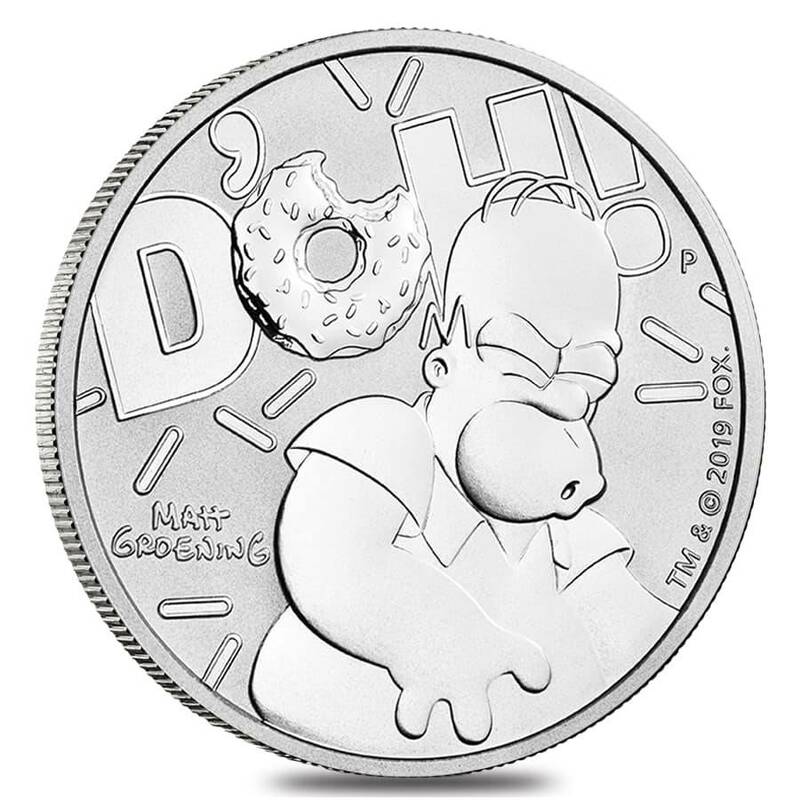 You’ll find Homer almost popping off the coin with his mouth open as he seems to say “D’OH!” The famous wording is also written on the coin. Instead of an O though, you’ll find a delicious glazed donut. Sprinkles are “sprinkled” throughout the background. Also, you’ll see the Perth Mint ‘P’ Mintmark and Matt Groening’s signature. 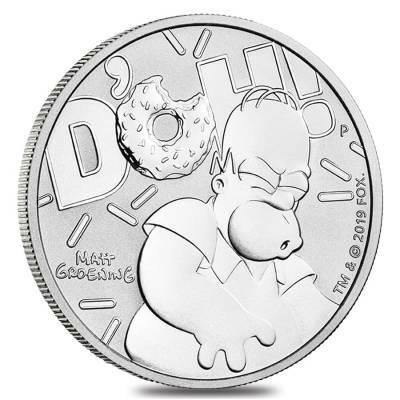 Obverse: Showcases Homer from the Simpsons. You’ll find Homer almost popping off the coin with his mouth open as he seems to say “D’OH!” The famous phrase is also written on the coin. Instead of an O though, you’ll find a glazed donut. Sprinkles are “sprinkled” throughout the background. Also, you’ll see the Perth Mint ‘P’ Mintmark and Matt Groening’s signature. 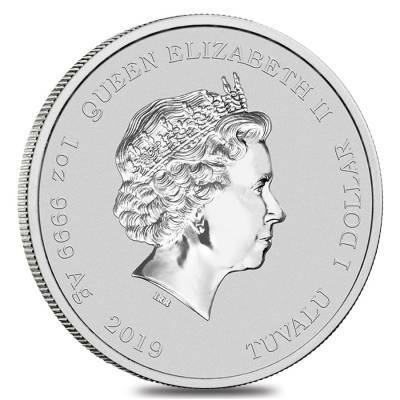 Bullion Exchanges is proud to carry the Tuvalu Homer Simpson Coin along with many other popular coins from around the world. Add this beautiful silver bullion coin to your collection today. We will carefully wrap, package and deliver to your address. If you have any questions or concerns, send us a message via our website, we will be happy to assist you. BE never disappoints! Shipping and quality far surpass any competitors. Ordered it before price went up. Double win. With this purchase, you earn 30 Bullionaire Bucks 30 BB = $0.03. We currently have 514 of this item in stock. For every $1 spend, you will earn 1 Bullionaire Buck which is equivalent to $0.001 off a future purchase. 30 BB = $0.03.